From his kitchen at Beausoleil Restaurant & Bar in Baton Rouge, 2011 Chef to Watch Nathan Gresham turns out a variety of traditional Louisiana dishes alongside playful international reinterpretations. Boudin Balls with Red Hummus is his take on the New Orleans classic red beans and rice, and Pumpkin and Shrimp Bisque shows his grounding in the Bayou State’s culinary sensibilities. While Beausoleil isn’t a seafood restaurant per se, fresh catches are writ large on the menu. 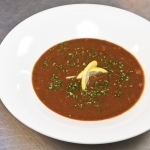 One of the most storied Louisiana dishes to appear on Nathan’s menu is Turtle Soup. 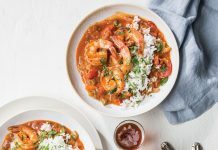 Served with a healthy dose of sherry and plenty of spice, this Creole stalwart gets a classic treatment. As with all seafood dishes, a great turtle soup starts with the freshest possible turtle meat, Nathan explains, and he gives tips on how to properly dress the meat (to reduce any wild game flavors). Additionally, Nathan gives us his dead-simple method for dry, oven-baked roux, which he uses to flavor and thicken the soup. 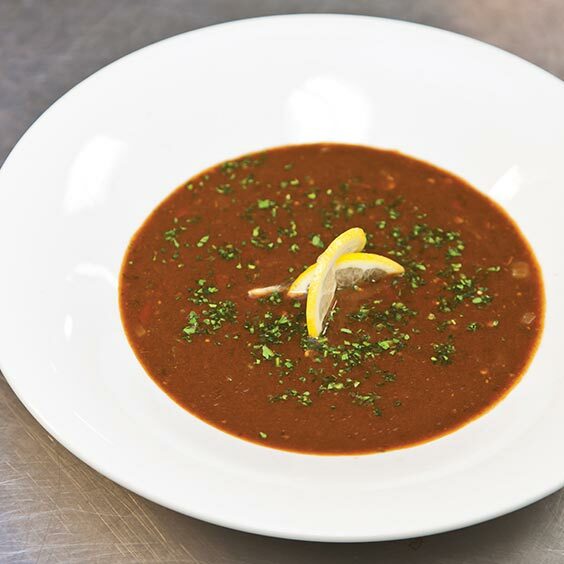 Tell us about your first turtle soup experience. I didn’t grow up eating turtle soup, or turtle meat, but when I was 18 I worked at a restaurant back home in Mississippi called Anthony’s Market. The chef there trained in New Orleans, and he served mock turtle soup. It had all the flavors and the technique of turtle soup, but they used ground pork instead of turtle. Then, when I started working with Chef Brian Landry at Galatoire’s Bistro in Baton Rouge, I got a real appreciation for turtle soup. I made it often, and that’s where I got a feel for it, and we also made it in culinary school. What makes a great turtle soup? I’m a huge fan of finely ground turtle meat. I don’t really like big chunks of turtle because the meat kind of shreds when it’s cooked. And you’ve got to have a dark, dark roux, a lot of seasoning, a lot of citrus juice, and I put lots of sherry in it, which is traditional. I also add a little more sherry tableside. What makes your turtle soup unique? The main difference is the way I do my roux. Instead of doing it on the stovetop, I make a dry roux in the oven. Then I’ll brown the turtle meat, season it. Over the years I’ve tweaked the seasoning to get it just right. Once you add the soup, you need to stir it for a few minutes to get the flour completely incorporated; then I add the tomatoes and stock. 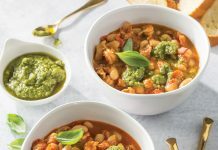 Outside soup, what are some of your favorite ways to use turtle? Turtle meat also makes a great sauce piquant, smothered in tomato gravy with rice. Turtle grillades, with the meat braised down and served over creamy stone-ground grits, would be good, too. What’s the first thing home cooks need to know about cooking with turtle? You need to have a good purveyor because the meat must be very fresh; clean it well, getting the fat and sinew off of it. Turtle meat can be somewhat gnarly to look at, which is why I grind it up. Sometimes I’ll soak the meat overnight in milk to make the flavor a little milder. What flavors pair best with turtle and turtle soup? My turtle soup goes well with a big bold wine, like a Burgundy. Also, the soup’s flavor keeps getting better over four or five days, if you can wait that long. My father owned a restaurant, and his main dish was Turtle Soup. He sold it in the restaurant and also in large supermarket chains, as well as shipping cases to customers all over the US. I have helped him make so much Turtle Soup, I can smell it as I am writing this, and that was 45 years ago. He did it the old fashioned way. He would cut the Turtle meat into cubes, and boil the hell out of them because the meat was too tough. He made a roux the old fashioned way, used tomato paste for the base they transferred it to a 84 gallon pot, and let it cook, with water, no chicken stock. No lemon, rosemary, basil, coriander, red wine etc. Just onions, bell peppers, celery, and bay leaves. It would cook for about 8 hours. After that he would can all of it, adding the Turtle meat into the cans, then pressure cook the cans to the correct temp. to get rid of any botulism, or whatever bacteria would be in there. I never asked, because I was too damned tired to care. I surely hope you do not put the sherry in the soup when it is cooking. That is for the diner to choose whether or not they want any. You bring the Sherry to the table when it is served. And you put a slice of boiled egg on top. 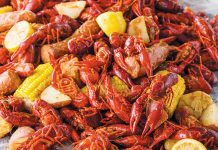 I have eaten Turtle soup in many Cajun and New Orleans restaurants, just out of curiosity, and believe me, none have come close to my Fathers. Sorry, the recipe is not for sale. Thank you for telling about your father and his wonderful turtle soup. I have only had turtle soup once and that was at Mandinas resttarant in New Orleans when I was a teenager. Their s’ was delicious then. They also brought the sherry to table and didn’t use all that other seasoning. If turtle meat is not available you can use boneless veal shoulder, cut into 2″ pieces. The only spices I add are bay leaves, Worcestershire sauce, paprika, Kosher salt and freshly ground black pepper. Dry sherry is added at the table. With all of the above listed spices added, are you making turtle coup or turtle chili? Thanks for your suggestion on the veal substitution, it will certainly work in this soup. Regarding the spices, everyone has their own favorite spice profiles, and this chef likes to add a lot of spices.